Originally created in 1987, the Mega Man series has captured the hearts of gamers for many years, and Mega Man Star Force, know, in Japan as Shooting Star Rockman, is getting the 4-Inch Nel treatment! 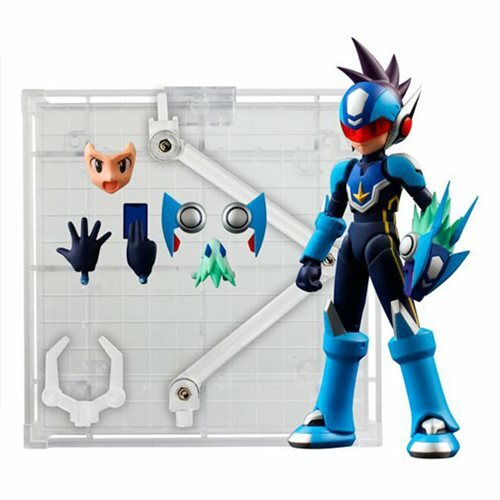 The Mega Man Star Force 4-Inch Nel Action Figure comes with a clear visor, 2x facial expressions, optional hands, Warlock accessory, and a display base. Action figure stands about 4-inches tall. Ages 15 and up.